Croquetas de Camarones (Shrimp Croquettes) | Simple. Tasty. Good. A dream come true!! I finally prepared croquetas de camarones, or shrimp croquettes if you like. 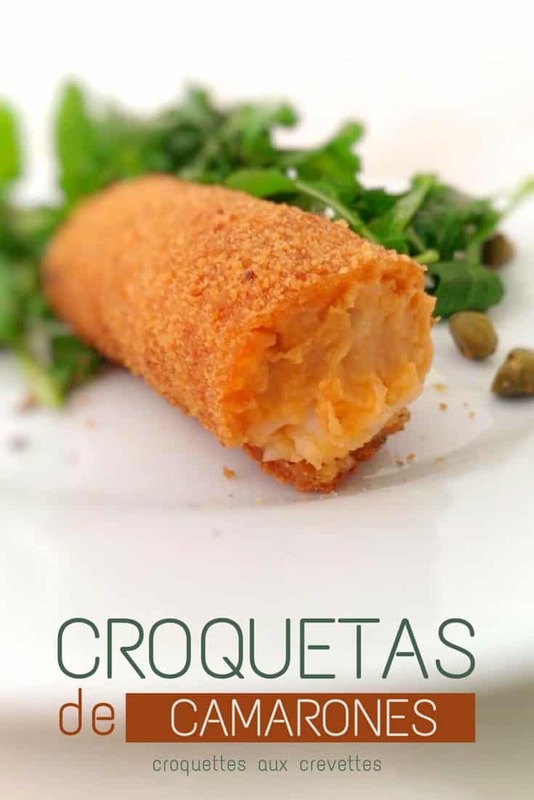 Have you ever tasted croquettes aux crevettes? 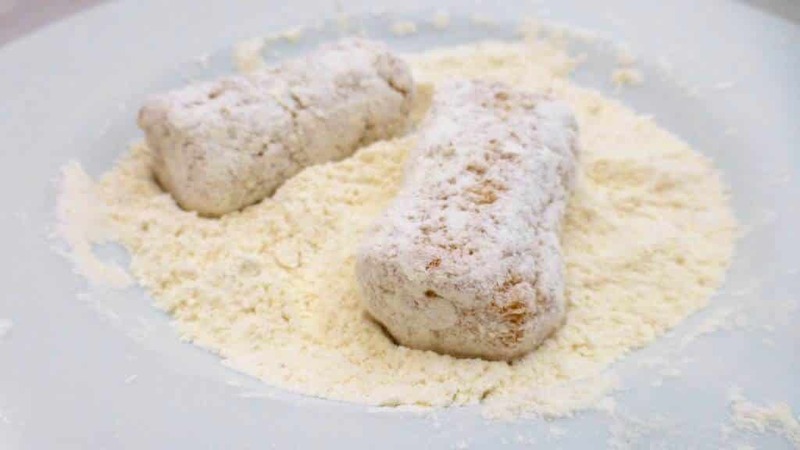 These croquettes are typically Belgian and they are prepared using grey North Sea shrimp, also known as brown shrimp. 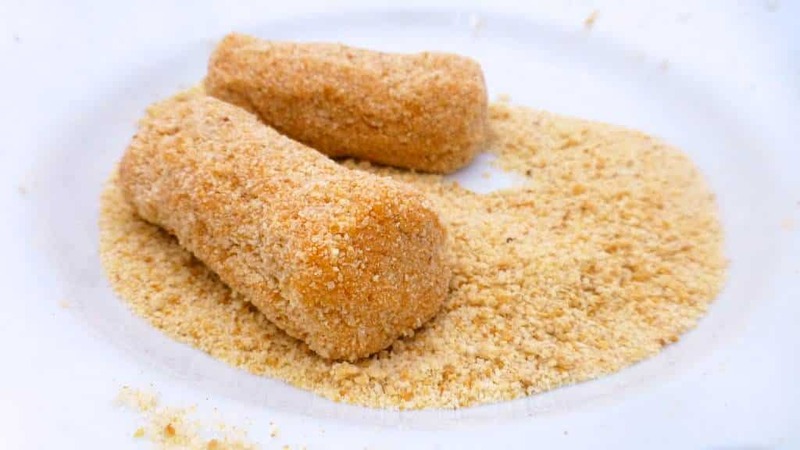 But since these critters are hard or even impossible to find anywhere else I thought I should make a worthy alternative to get you guys as close to the typical croquette taste as possible by using plain and simple prawns. I bread the croquetas de camarones 4 times: breadcrumbs, flour, egg and breadcrumbs and again egg and breadcrumbs. A thick crust, that’s what we want! Another trick to make that crust even better: let the croquettes dry in the fridge overnight. Don’t cover them up. You’ll see, it works. You can easily prepare these croquetas de camarones in advance. If you are using fresh prawns for this one, you can freeze them for later: bread the croquettes and put them in your freezer. Love making croquetas at home? Then also check out my salt cod croquettes! Or do you prefer my ham croquettes? 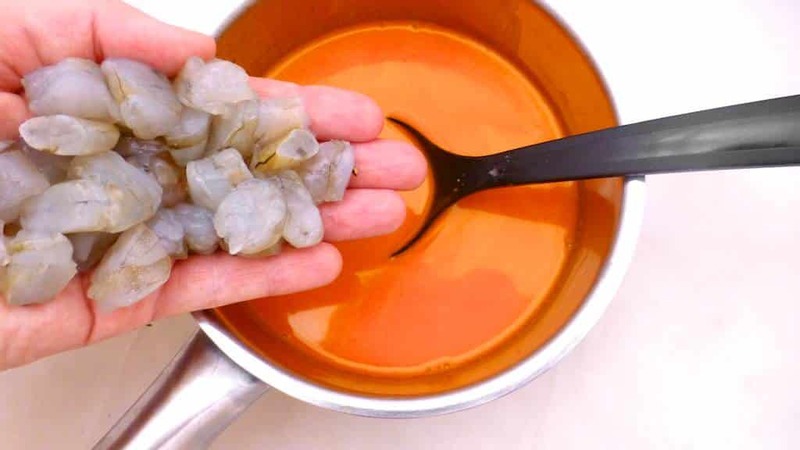 If you are using frozen prawns, let them first thaw fully. Then remove their heads and peel them. Don't discard any of this. Rinse the peeled prawns under cold running tap water and let them drain. 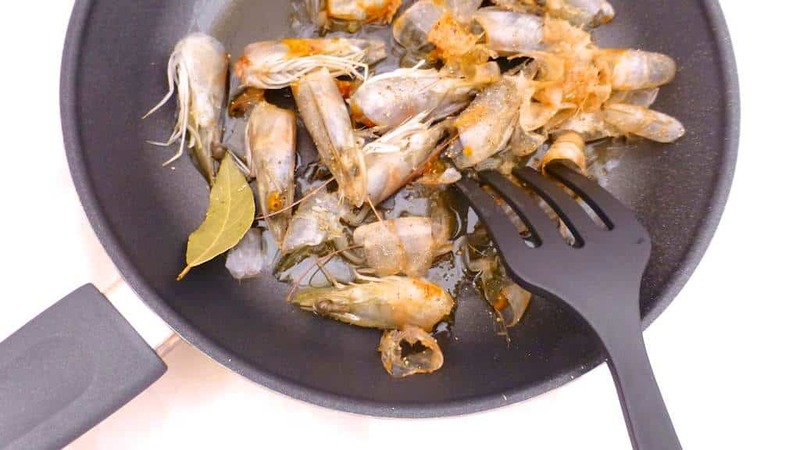 Transfer the scales and prawn heads to a medium non-stick pan together with the bay leaf and a tablespoon of the unsalted butter. Season with a little pinch of pepper. 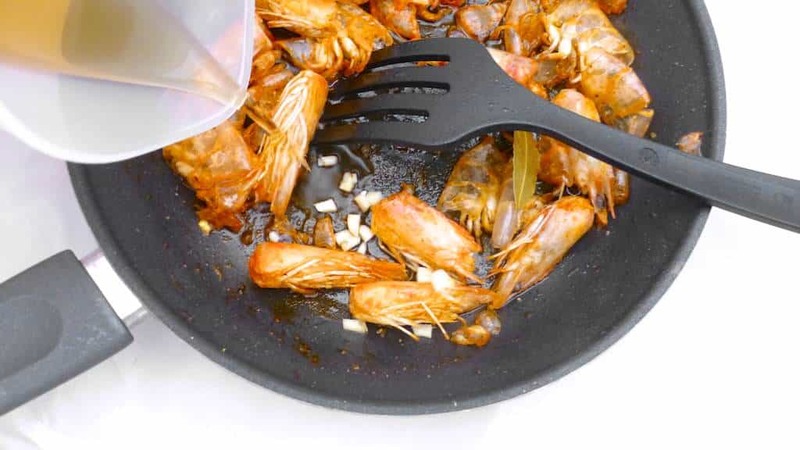 Place the pan over medium heat and gently fry the prawn heads and scales for about 5 minutes. Stir regularly. Peel and chop up the garlic clove. Add it to the pan together with a cup (240 ml) of water. Stir and bring it to a boil. Then turn the heat lower and simmer the prawn sauce for 8 to 10 minutes. Stir regularly. Then take the pan off the heat and let the prawn heads and sauce cool a little. Then pour all this in a clean blender. Pulse it all into a coarse puree. Wipe the pan clean and place a sieve in it. 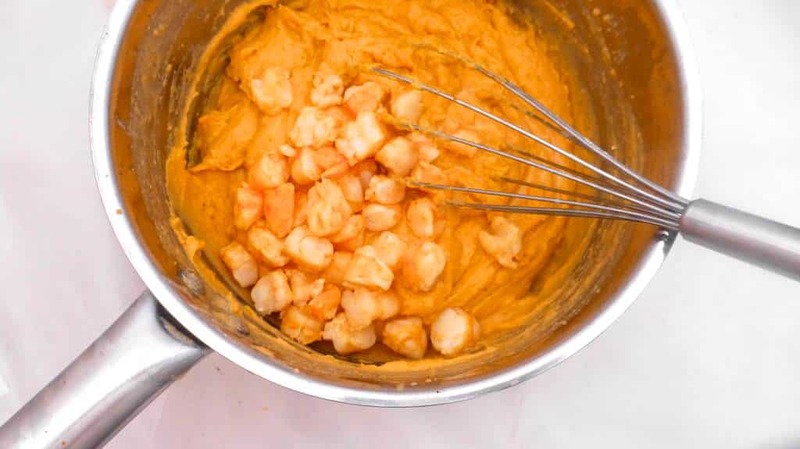 Pour the blended prawns in it and let the mixture drain. 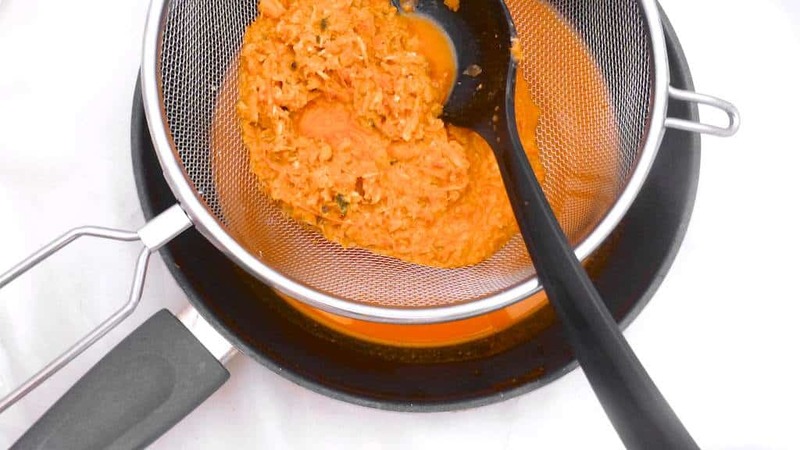 Stir and squeeze the prawn mixture well to get all of the lovely juices out. 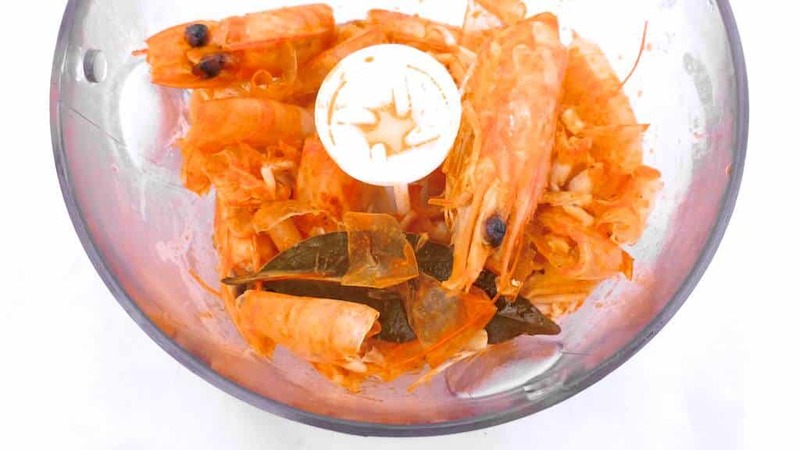 Then discard the leftover prawn pulp. 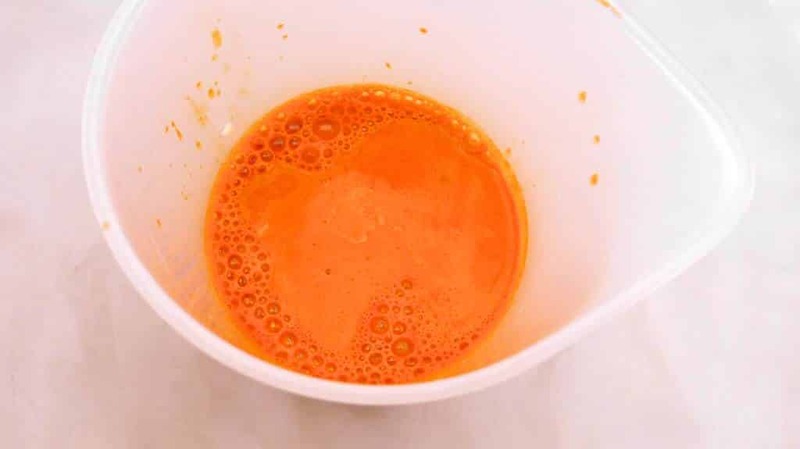 Now pour the prawn sauce in a measuring cup and add some of the whole milk until you reach 2 cups (480 ml) of milk and prawn liquid. 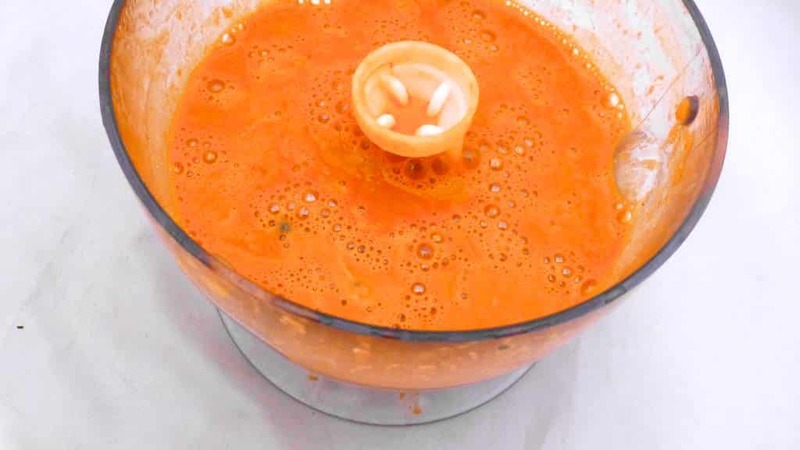 Then pour this in a medium saucepan and place it over medium heat. Don’t let it boil, just heat it through. 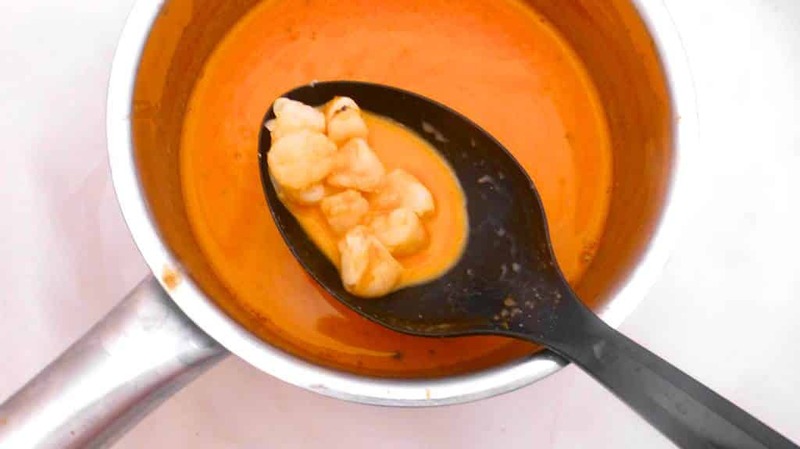 In the meantime chop up the fresh prawns you kept aside and add them to the warm prawn milk. Let the prawns cook for 2 minutes until cooked. Then remove the bits again using a slotted spoon and put it aside again. Take the prawn milk off the heat. Check the seasoning and add extra pepper or salt to it. 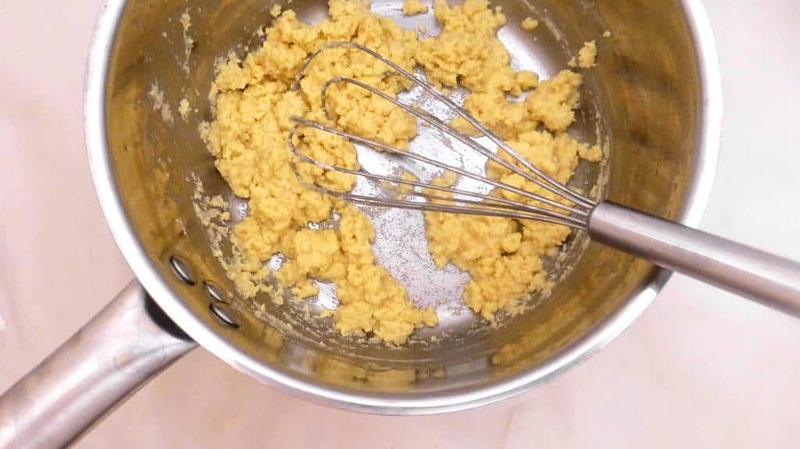 Melt the rest of the unsalted butter in a medium saucepan over medium heat and then add 2,5 oz (70 g) of plain flour. 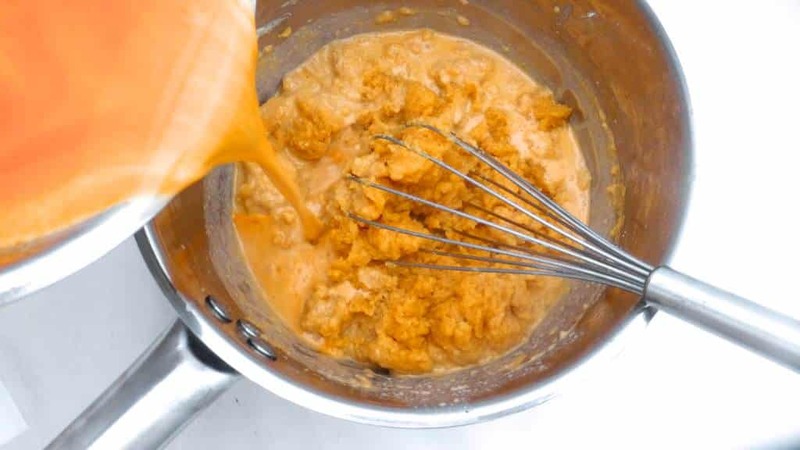 Stir well into a roux and let it bake for a minute. Stir regularly. Then little by little add the warm prawn milk to it and stir well in between additions. Once you have added all of the milk, add the poached prawn chunks. Then take the pan off the heat and pour the prawn filling in a small baking dish. Mine was 6 inches by 7 inches (15 cm x 17,5 cm). 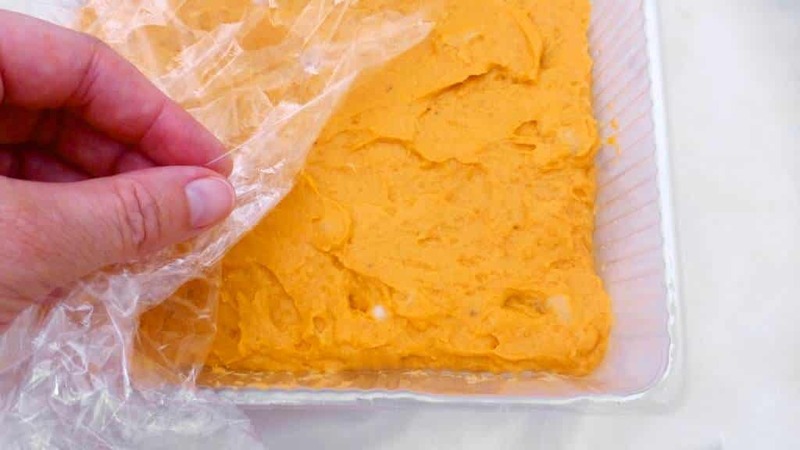 Let it cool down fully, then cover the top with some cling film and place this in the fridge to set and chill for at least one night. 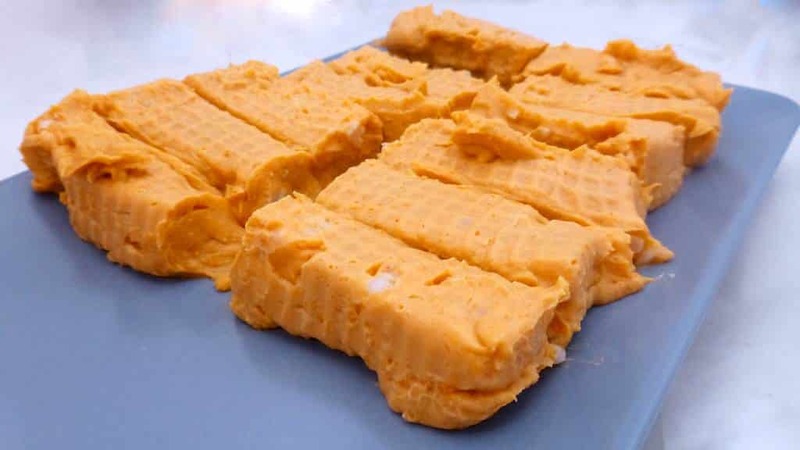 Then cut the filling up into more or less even portions. 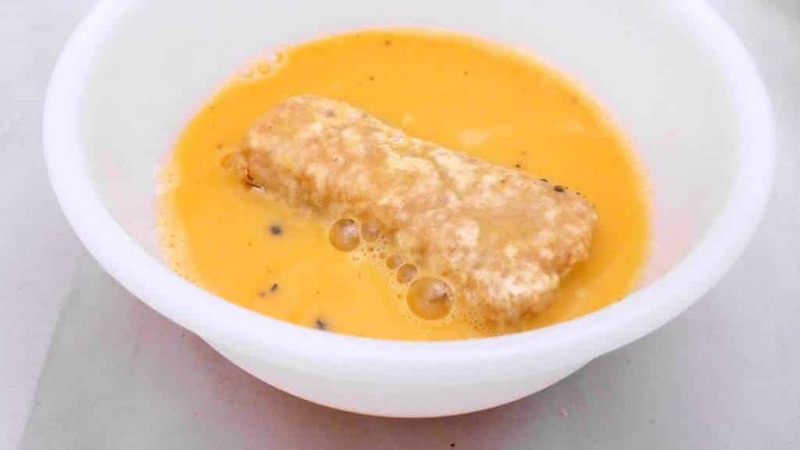 Pour the breadcrumbs in a deep plate and roll the croquette fillings generously in it. Then put them all on a plate and place them in the fridge for an hour. 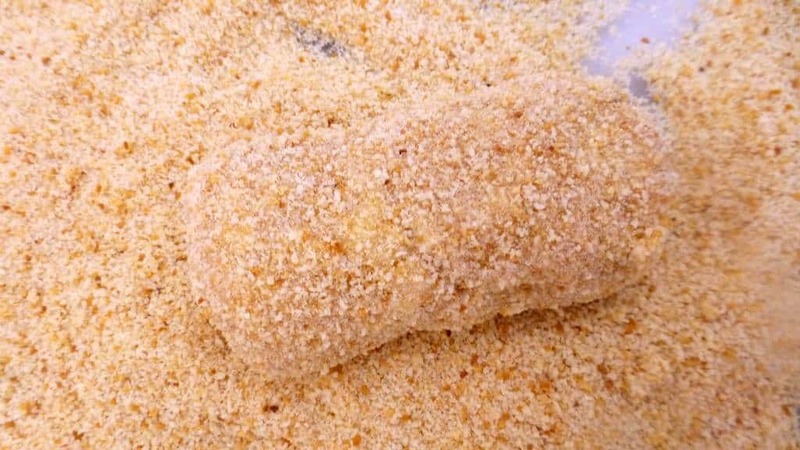 Pour the remaining plain flour for breading in another deep plate and coat the croquettes with it as well. Let them chill and rest in the fridge for another hour. Beat the eggs in a deep plate and season with some pepper and salt. 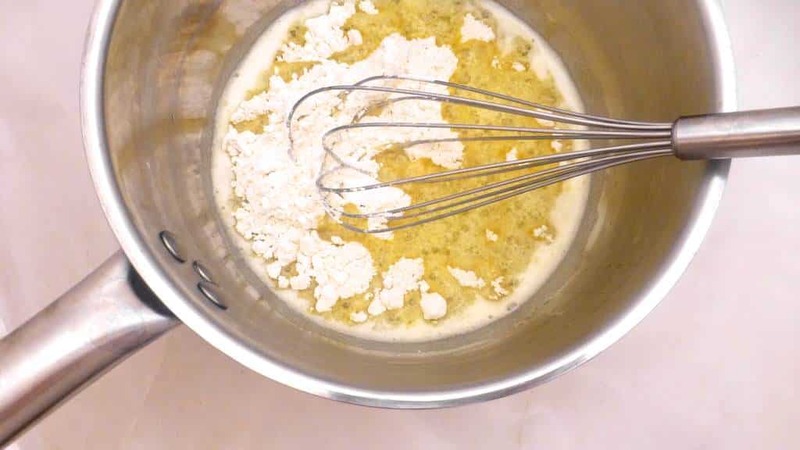 Coat the chilled croquettes first with the egg wash.
And then again with a good layer of the breadcrumbs. Repeat this one more time: egg wash and breadcrumbs. Then place the finished croquettes on a clean plate again and lace them in the fridge to chill for 3 more hours, preferably overnight to get that extra crunchy thick crust. Then fry croquettes in batches in hot oil until golden. Don’t add too much of them at a time or the oil will cool down fast once you drop them in it. Serve hot. Hey! i love this post. I had a question, my family and i ate turkey Croquettes at a metatraranean restaurant that we used a groupon for. They were very squishy and unpleasant, is that just us being picky, or are they supposed to be so squishy?